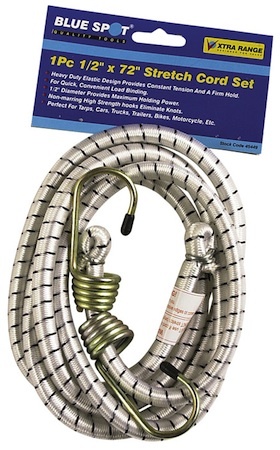 A very practical 1/2" x 72" elastic stretch cord bungee strap from Blue Spot Tools. Heavy duty elastic deign provides constant tension and a firm hold. For quick and convenient load binding. 1/2" diameter provides maximum holding power. 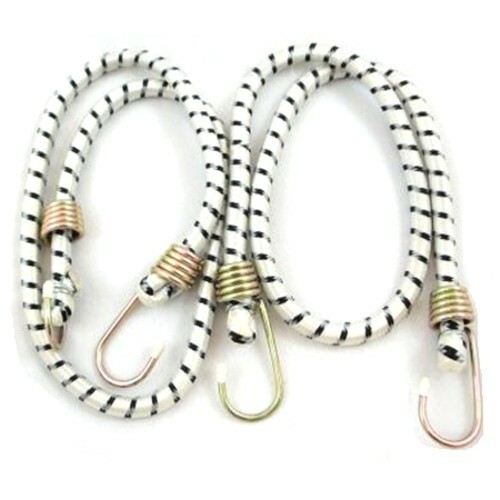 Non marking high strength hooks eliminates knots. 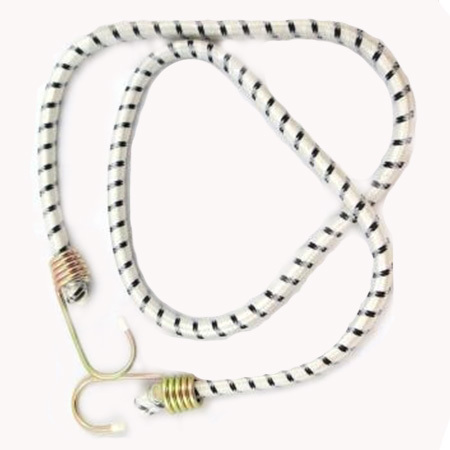 Perfect for cars, trucks, trailers, bikes and motorcycles. Superb value from Blue Spot Tools.